The more information entered into MynaScan the more useful the map will become. Register your details to join the MynaScan or simply record information with a valid email address. You do not need to register but it will make it easier for you to view your own data, and enable the FeralScan team to keep you informed about how your data is helping to control mynas in your local area. 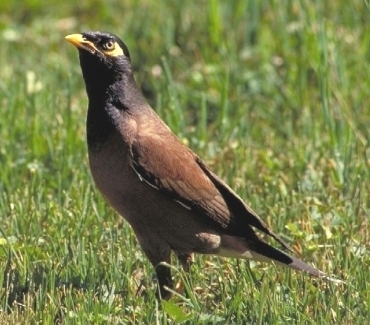 Record wherever you see Myna birds, their impacts or control activities such as trapping. To enter data, zoom to your current location and place a marker on the map, then insert the details of your observation in the form provided. Mobile phone users can also enter data while in the field. If you have a large number of myna bird sightings you would like to import into MynaScan, you can enter these sightings into the bulk data uploading template (below) and email that file to the FeralScan Team to upload on your behalf.